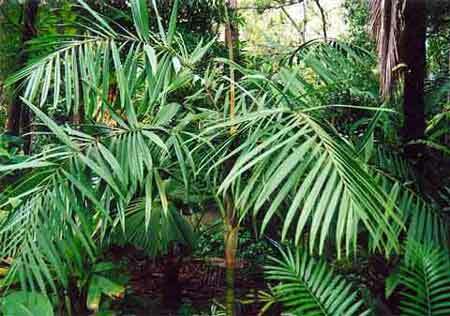 Description: Easily grown palm for a moist and lightly shaded position. Small to medium sized single trunk palm. Potted plants thrive with water left sitting in a saucer as it normally lives near streams.